Military Move Ahead: Should I Sell or Rent My Home? Neighbors gather. Tailgating chairs dot driveways. Children safely zip around the cul-de-sac on scooters and bicycles. Family-friendly details like these are what enticed us to buy our first home. Of course, just when we were settled and comfy in our little neighborhood nest, military orders came up. At that point, we had to make a big decision. Should we sell our idyllic property? Or embark on being landlords and list it as a rental? If you're a homeowner anticipating military orders, you may be pondering the same question: should I sell or rent? If the value of your property has changed, you may want to consider listing your home as a rental. Offering the property as a rental may provide income as you patiently wait for home values to rise. In our situation, due to a staggering drop in home values, we decided to rent out our abode. With the resource articles and blog posts offered on MilitaryByOwner for first-time landlords, we did our homework, and within a few months, we were fortunate to find a responsible tenant. One thing we learned was that if we claim our home as our primary residence, we need to have lived there for two of the last five years. Additionally, if we rent out our home for more than three years, it can no longer be claimed as our primary residence. I'm sharing these facts because the timing matters. Often, military families do not stay in one location for several year or return to a previous location. With these timing guidelines, if we listed our home for sale and our property is no longer considered our primary residence, the sale may incur hefty capital gains and losses taxes. For the full scoop on how to minimize tax on the gain with the sale of your personal residence, check out informative tax facts available at MacRae Associates, P.C. This window of time is good news if you may be in the same boat as we are, waiting on a home to increase in value. How does your neighborhood compare to other areas around town? Does the area have noticeable improvements? Have you noticed any neighborhood decline? What are similar houses selling for? What is the going rate for rent? Often, a real estate professional can run a comparative market analysis to give a homeowner the full scoop on the local housing market. If you prefer to do the research on your own, navigate the online search engine of listings on MilitaryByOwner.com. By selecting different parameters under the Advanced Search filter, you can find similar properties either for sale or for rent. What do you imagine for yourself and your family in the years ahead? The answer to that question may ease the decision to either sell your home or rent it out. On one hand, if you have yet to find your someday spot for retirement bliss, you may not want to be tied to an address by homeownership. On the other hand, if you feel you may return to the area, your current investment in real estate may lead to landlord success. No matter which decision you make, we at MilitaryByOwner will be there for you. 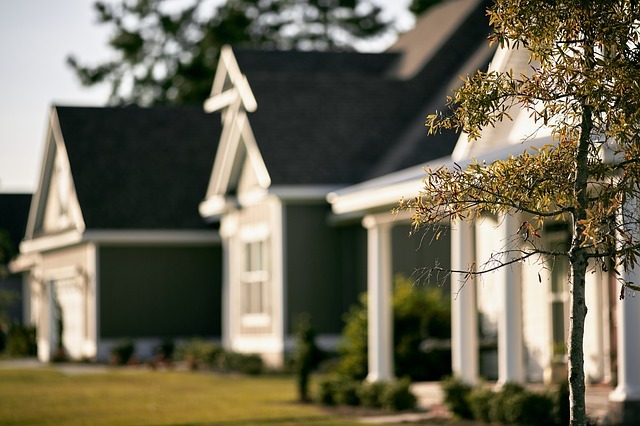 With helpful resources such as real estate documents and handbooks available through U.S. Legal Forms, the MilitaryByOwner website offers support and help for you to sell or rent your home. Making the decision to sell or rent your home is often difficult. Here’s hoping that you make the choice that is best for your family and your finances amidst this unique military life.